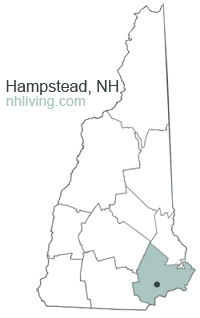 The town of Hampstead, New Hampshire was onnce part of Haverhill and Amesbury, Massachusetts. Hampstead was formed as a result of the 1739 change in boundary lines between Massachusetts and the new province of New Hampshire. Hampstead, NH was originally known as Timberlane Parish, because of the heavy growth of native trees. In 1749, Governor Benning Wentworth renamed the town Hampstead, after the English residence of William Pitt, a close friend. To share any Hampstead, NH information with us, please contact us. Learn more about advertising in NHLiving.